Raised in Brooklyn’s Syrian Jewish community and a descendant of Syrian born grandparents, Sarina Roffé grew up under the influence of her mother, Renee Salem Missry, her aunts, and most importantly her grandmother Esther Cohen Salem, who was the first Syrian Jewish caterer in Brooklyn. 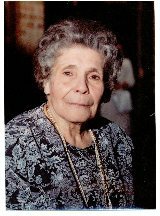 Esther's older sister was known as the Egyptian Rose and had a restaurant on the Lower East Side of Manhattan to cater to Syrian Jewish immigrants in the early 20th century. In this environment, Sarina came to see food as a very rich cultural experience, one in which her family came together for many celebrations. When first married, Sarina lived away from her family for many years and learned to cook these Middle Eastern delicacies she learned from her mother and grandmother. 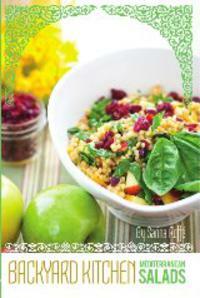 Over the years, Sarina taught her own children how to prepare these amazing Middle East dishes. Carefully writing down the directions to each recipe involved recreating each one and fine tuning her skills. Sarina was motivated because preserving the recipes was also a way to pass on her rich Sephardic heritage to her children. An expert cook, Sarina and her family entertain often, sometimes with as many as 100 guests in their Victorian Flatbush home. Sarina prepares all the foods herself and has taught her three children the skills so they can help her. 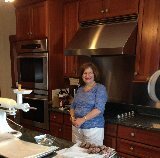 Sarina has published selected recipes in the New York Times Jewish Cookbook (St. Martin's Press, 2002), the New York Times, and in Joan Nathan's Jewish Cooking in America (Knopf, 1994). Sarina Roffé has published hundreds of articles and is considered an international expert on Syrian Jewry and genealogy. Sarina Roffé holds a BA in Journalism from University of Maryland and an MA in Jewish Studies from Touro College. The concept for Sarinas Sephardic Cuisine came from Simon D. Roffé, Vice President of Social Media. Simon Roffe handles social media for the Sarina Roffe Group and Sarina’s Sephardic Cuisine, as well as select clients. He also provides analysis and support, specifically in the area of compliance, investments, documentation and personnel management. He has excellent reliability and organizational skills. He is also the company’s technology expert. Simon works closely on app development, human resources, employee document management and payroll administration. Simon Roffe is fluent in American Sign Language and can easily converse with and connect with people with disabilities. He also has working knowledge of Hebrew, but is not fluent. Simon Roffe graduated from New York University Stern School of Business in 1998 with a degree in finance. 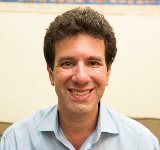 He previously held Series 7 and 66 licenses and worked in Real Estate Development in Washington, DC for many years.